Jan Andrzej Pawe? Kaczmarek (b. April 29, 1953 in Konin, Poland) is a polish composer, author of music to over thirty feature films and documentaries. Jan is a graduate of law studies at the Adam Mickiewicz University in Pozna?. He worked with Jerzy Grotowski's Theater Laboratory in the late 1970s and created the Orchestra of the Eighth Day in 1977. He recorded his first album "Music For The End," in 1982 for Flying Fish Records (Chicago). In 1989 he moved to Los Angeles. His music was released by Sony Classical, Decca, Varese Sarabande, Milan and Savitor Records. Jan is a graduate of law studies at the Adam Mickiewicz University in Pozna?. He worked with Jerzy Grotowski's Theater Laboratory in the late 1970s and created the Orchestra of the Eighth Day in 1977. He recorded his first album "Music For The End," in 1982 for Flying Fish Records (Chicago). In 1989 he moved to Los Angeles. His music was released by Sony Classical, Decca, Varese Sarabande, Milan and Savitor Records. He gives concerts in the USA and in Europe. 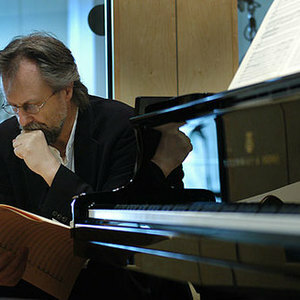 In 2005 Jan Kaczmarek received an Oscar for the music (score) in Finding Neverland, directed by Marc Forster. J.A.P.K. also won The National Board of Review award for Best Score of the Year, and was nominated for both a Golden Globe and BAFTA's Anthony Asquith Award for Achievement in Film Music. In addition to his work in films, Jan was commissioned to write two symphonic and choral pieces for two important national occasions in Poland. ?Cantata for Freedom? (2005) to celebrate 25th anniversary of Solidarity movement, and "Oratorio 1956? (2006) to commemorate 50th anniversary of bloody uprising against totalitarian government in Poznan, Poland. Both premiers were broadcast live on national television. Jan A.P. Kaczmarek is a member of the Academy of Motion Picture Arts and Sciences. Jan is also setting up an Institute inspired by the Sundance Institute, in his home country of Poland, as a European center for development of new work in the areas of film, theatre, music and new media. The Institute website (currently under construction) is: http://rozbitek.org. It is anticipated that Rozbitek Institute will be officially open in 2008.